Summer is fast approaching, so take advantage of the long summer days and warm weather by planning a camping adventure. There are lots of different locations to explore. Share your love for camping with friends or family by introducing them to new skills, techniques and challenges. You are guaranteed to make memories that will last for many years to come. Step #1: Choose a location. This can be challenging because there are so many incredible places to visit and explore. The location you choose should be appropriate for your camping abilities and available time. This can be a lake, park, or even your backyard. Step #3: Plan your meals. How you plan your meals should be based on the resources that are available to you on your trip. The weather forecast will also help you decide how you will be cooking. If your adventure is a one week backpacking trip you can’t take raw meat or food that needs to be refrigerated. You should instead pack lots of dried and dehydrated meals to keep your food light and easy to carry. If you are going out to a cabin with a fridge and freezer you can plan meals like hamburgers and steaks. The food you take should give you lots of energy for the activities that you are planning to do and should have minimal waste. Step #4: Leave No Trace. One rule that we always follow in Scouts is Leave No Trace. We follow this rule so that the next people that go camping in the same spot can have the same experience that we had. Leave No Trace means that you don’t disturb nature while you are camping, hiking or otherwise enjoying the outdoors. Plan for your camping trip to ensure that you have a way to pack up and dispose of waste, won’t bring invasive species into the campsite, and won’t disturb wildlife with excessive noise and/or light. To learn more about the principals of Leave No Trace camping you can visit http://www.leavenotrace.ca/principles . You should be able to follow Leave No Trace principals while doing all of your activities. Step #5: Make an Emergency plan. 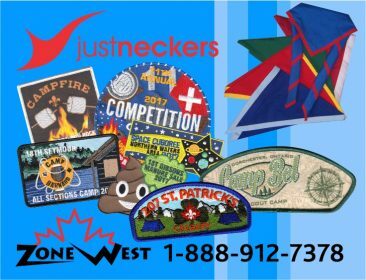 There are lots of activities you can do while you are out camping. Some of these activities may include bird watching, swimming and hiking. Anytime you plan an adventure – whether it is a day hike or a week long camping trip, you need to be prepared for an emergency. If you are going to a location without cell phone reception you should bring a satellite phone, for example. You always need to tell others what your plans are: where you are going, what you are doing and how long you will be gone. If you aren’t back when you said you would be, then someone will know that something might have gone wrong and you need help. For more information on making an emergency plan visit http://www.scouts.ca/bpp/forms/Emergency-Plan.pdf. If you have planned correctly you will have a fun and enjoyable trip. Camping is a great way to get to know other people and make new friends. Throughout my Scouting career I have made some of my best friends thanks to camping. I hope that you can do the same. When will your next adventure be?